Nico Rosberg, currently leading the Formula One drivers’ championship, may be feeling the pressure as both the Americas and Asia, home to the final three races of the year, are the German’s least successful destinations throughout his career. 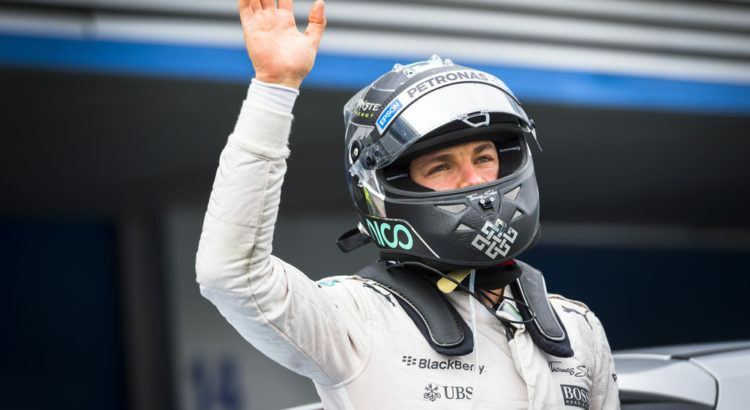 According to data compiled by money saving website voucherbox.co.uk , Rosberg has finished on average sixth on tracks in the Americas and seventh at circuits in Asia1 across his career, compared to his favoured region Australasia where he typically finishes fourth2. With the final three events in Mexico, Brazil and Abu Dhabi, this could provide his teammate and world title rival Lewis Hamilton with the opportunity to race in and scoop the F1 crown. In comparison to Rosberg, things are looking up for Hamilton as results show he achieves an average podium finish on tracks in the Americas and Asia, with him achieving one win and three second place finishes last year alone. His worst drives traditionally take place on European tracks3, where he is statistically more likely to finish fourth, one place lower than on all other continents. As a result, he may have good reason to keep the faith in catching Rosberg despite being 26 points behind his fellow Mercedes driver. The championship could yet be decided on the last day and if the gap between the rivals is as close as ten points, the history books suggest that Hamilton would be in with a shot of victory. Fuelled by Rosberg’s 14th place finish in the 2014 Abu Dhabi race, the German notches up an average seventh position in the capital of the UAE. By contrast, Hamilton’s previous drives suggest he would finish in second position in Abu Dhabi. Much has been made of Hamilton’s recent car issues, with the reigning champion describing the fear that his car would not make it over the finish line during the last race in Texas, USA. However, history looks to be on his side as Hamilton has only failed to complete a race in the Americas once in his ten-year career, during the Brazilian Grand Prix of 2011. In the same continent, Rosberg has been forced to retire twice. Despite his range of final positions in the drivers’ championship over the years, Jenson Button could be considered Mr Consistent across the globe as he shows no real preference for a specific continent, with him finishing on average between 6th and 8th on almost all circuits. Interestingly, the study reveals evidence of home advantage in Formula 1. For example, Australian Daniel Ricardo, has averaged a sixth place finish on home soil, compared to worse performances in Asia and Europe, with his most inferior results giving an average of ninth place in the Americas4. The study analysed the performance of each and every one of the current drivers’ races throughout their careers and has looked to predict the final stages of the season based on historical performances across the globe. The findings go as far back as Jenson Button’s debut season in 2000. If you’re looking to go to any of these destinations yourself, have a look at voucherbox’s Virgin Atlantic vouchers to knock some money off your flight. 4 Daniel Ricardo averages a finishing position of 6.33 in Austalisia, 7.20 in Aisa, 8.38 in Europe and 8.63 in the Americas.